Claire and David were recommended to fk&b by their friends. They also wanted to buy their kitchen from a local manufacturer and designer. Their brief was to create a bright, spacious open plan kitchen and dining area. We responded with a design that did just that. The kitchen features a bank of tall units to house the ovens and maximise storage space. Remo Gloss White doors and drawers by Second Nature create a clean, bright surface and contrast perfectly with Encore Solid surface worktops. 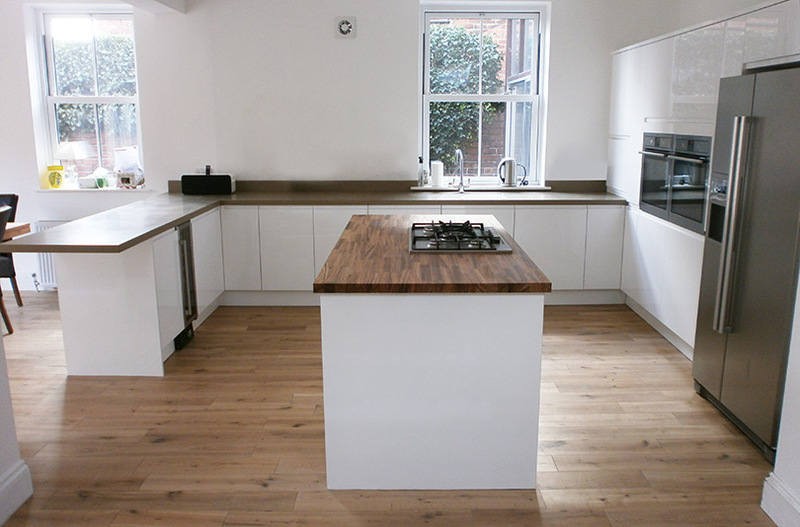 The Island features a Zebrano timber top that complements the work surfaces and adds a real quality feel. This kitchen boasts some big brands with a sleek Encore acrylic sink moulded in to the solid worktop. 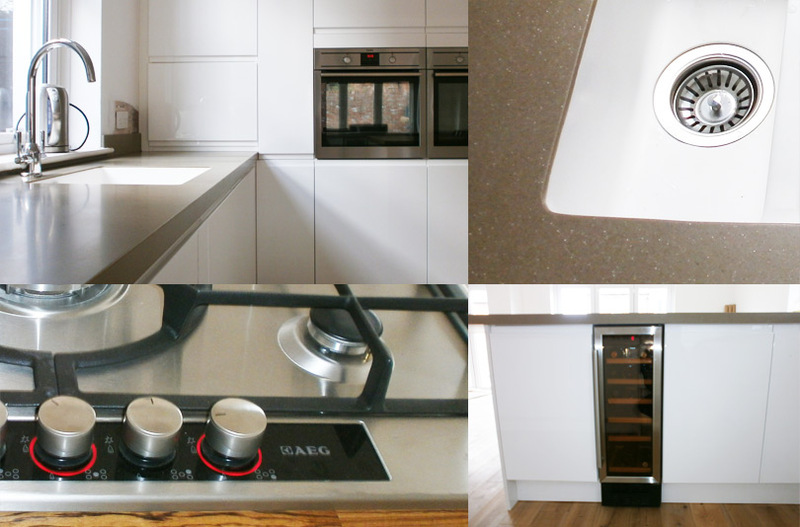 AEG cooking appliances and a Samsung American fridge freezer complete the specification. FK&B came highly recommended and they didn’t disappoint. 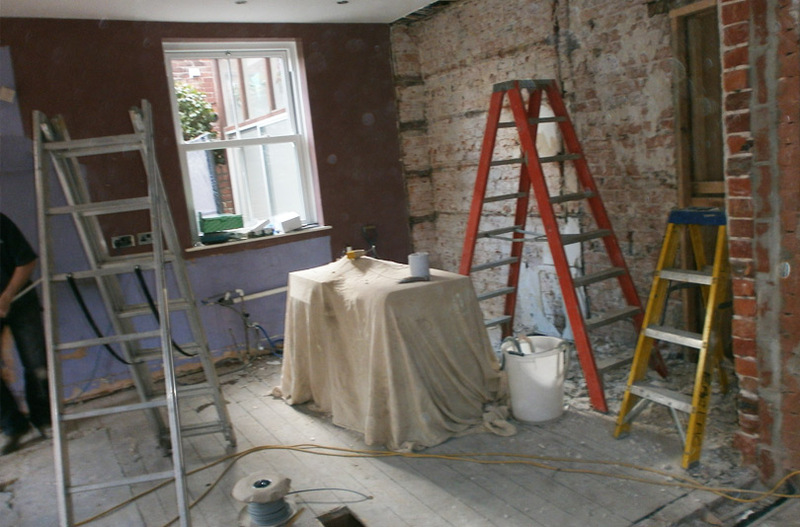 Emrys was very helpful and completely focused on helping us to create our dream kitchen. The whole process was made very easy and the result is exactly what we wanted. Great quality, service and value. Thank you!